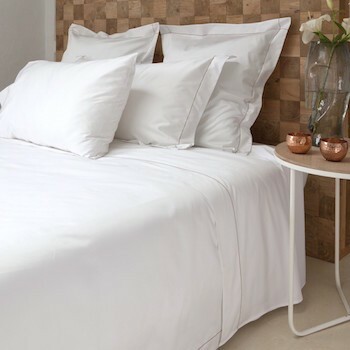 You will feel like you are in a boutique hotel the moment you slip under the covers of our top of the range collection Tremiti. 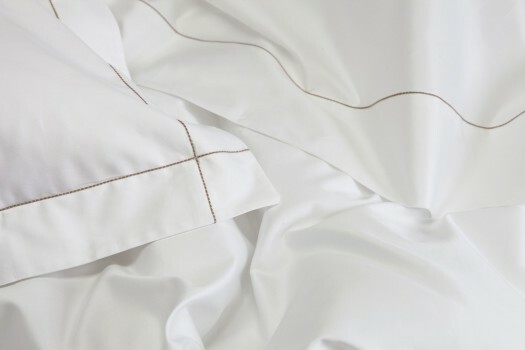 The double bed flat sheet come with caramel coloured chain stitch detailing at it´s head to add that subtle touch of elegance to your bed. 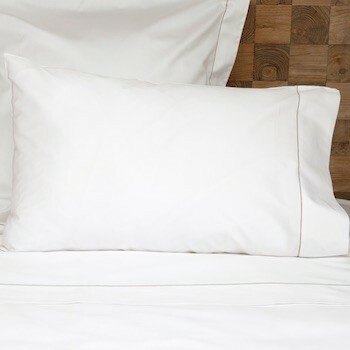 Our most luxurious bedding to date, made from 100% Egyptian cotton in a 600 thread count white sateen,the Tremiti double flat sheet was designed with a casually elegant master bedroom in mind. If you love your sheets to have a little more weight while being breathable yet still with that exquisitely smooth and silky next to skin comfort Tremiti is for you. 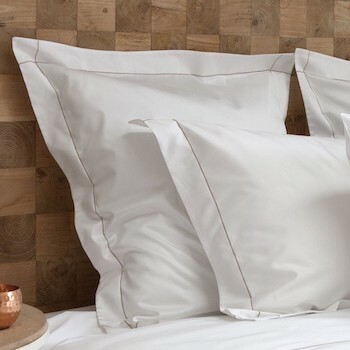 To complete the look add a quilt cover or oxford pillow cases to capture the designs Mediterranean style and luxury living appeal.